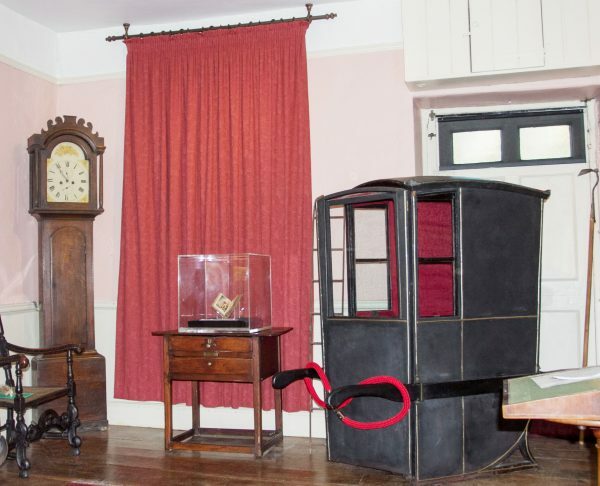 To the sound of the gentle tick and chime of the grandfather clock step into the Hall to be introduced to William and his family. Don’t miss the secret of the hinged frame to William’s portrait by Lemuel Abbott or how his pet hares became famous. 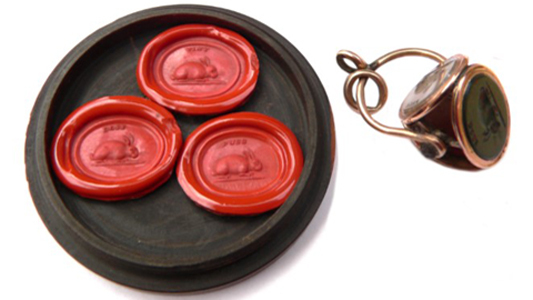 This rotating seal fob has 3 faces, each carved with the name and image of one of Cowper’s three hares. It belonged to Lady Hesketh (nee Cowper, William’s first cousin) who had been given it by Princess Elizabeth, the daughter of George III and Queen Charlotte.